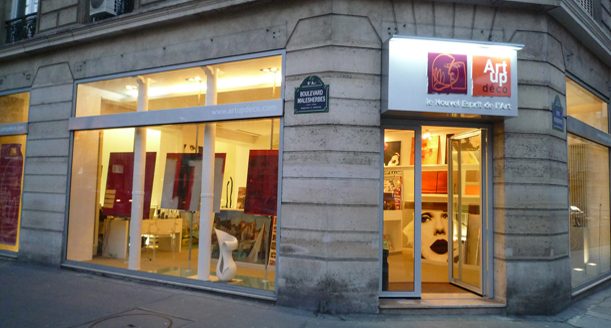 Contemporary art galleries play an essential role in the emergence and construction of artists’ renown and, consequently, in the vitality of the French arts scene. However, in the absence of a benchmark activity in the French statistical classification of economic activities (NAF), it is hard to analyse, necessitating cross-referencing of sources. This study uses an original methodology which enables contemporary art galleries to be both counted and categorised. 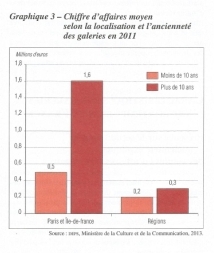 Distributed unevenly across the territory and clustered around Paris (containing 48% of the total of French galleries), activity is highly concentrated: 12% of galleries account for 72% of their overall annual turnover. How long a gallery has been in existence and its status on the international market are important determining factors on the extent of its activity. 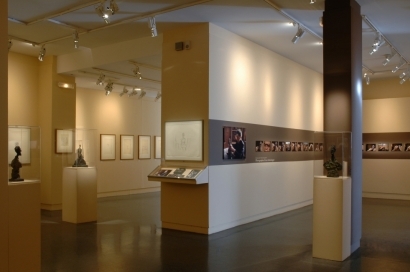 The analysis concludes with a typical gallery trajectory and typology.